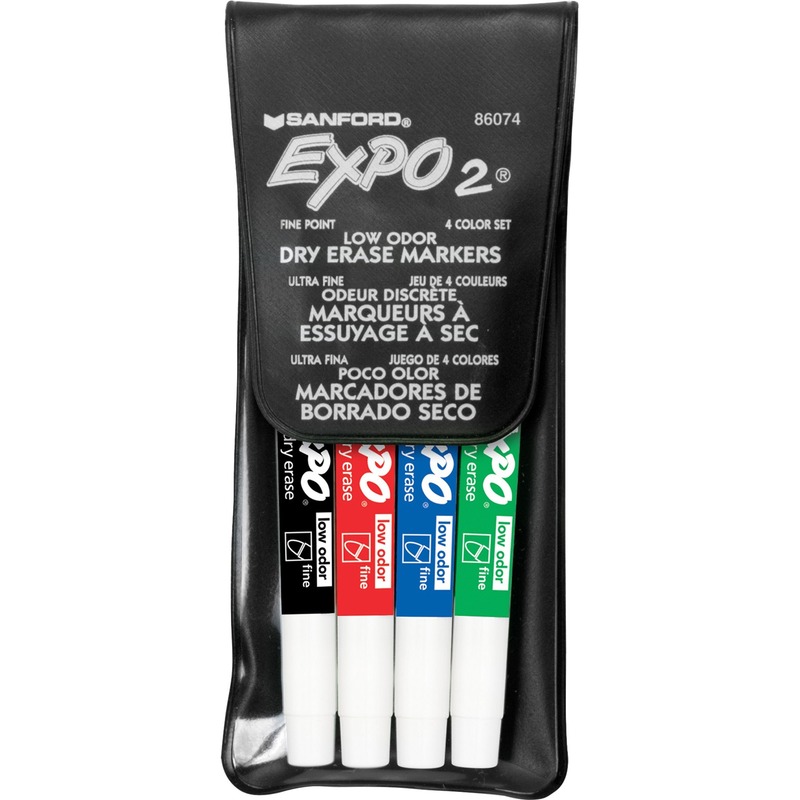 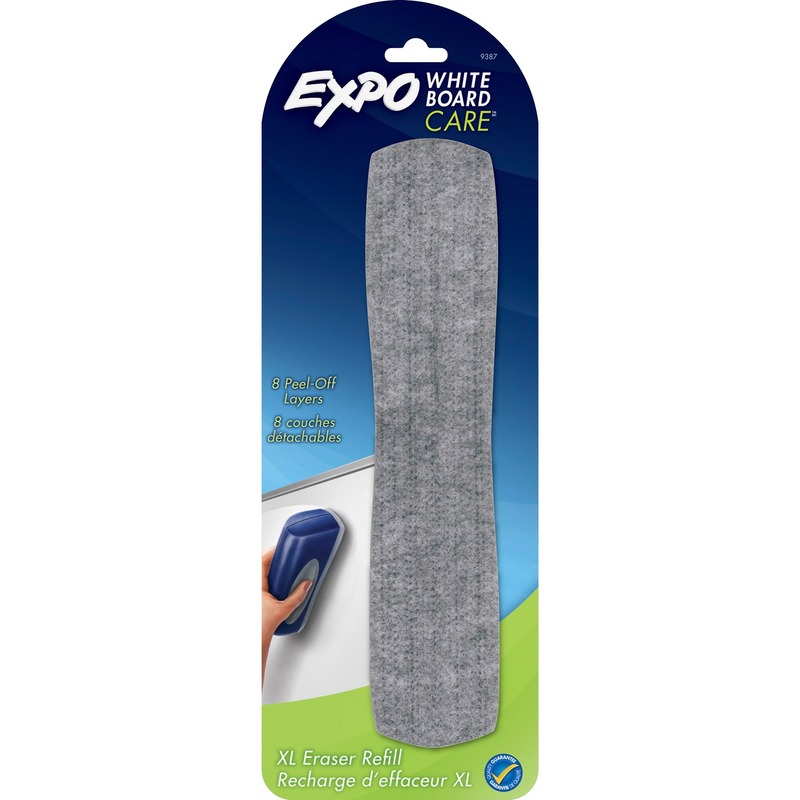 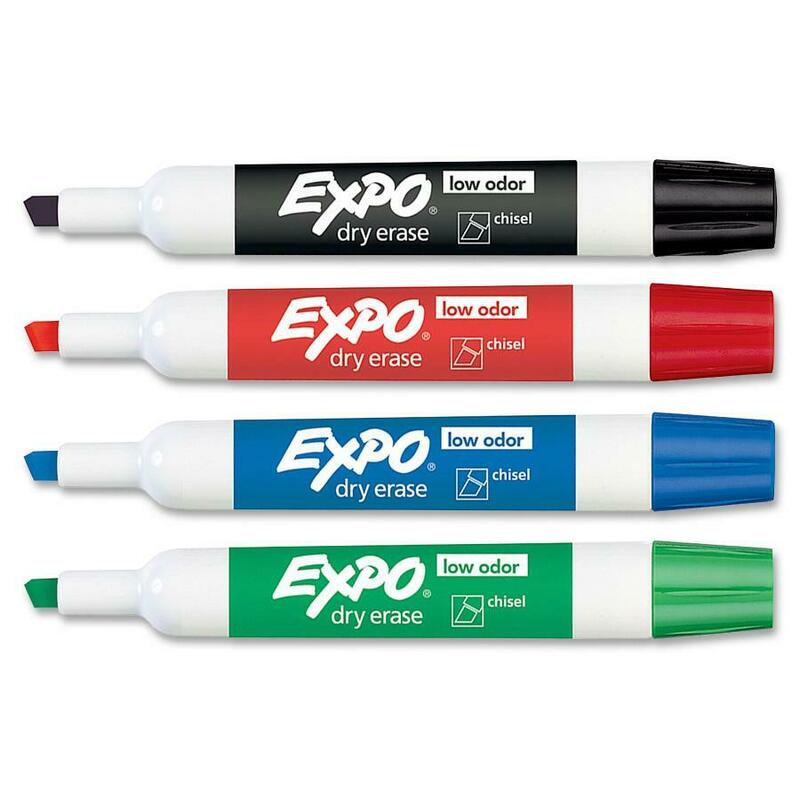 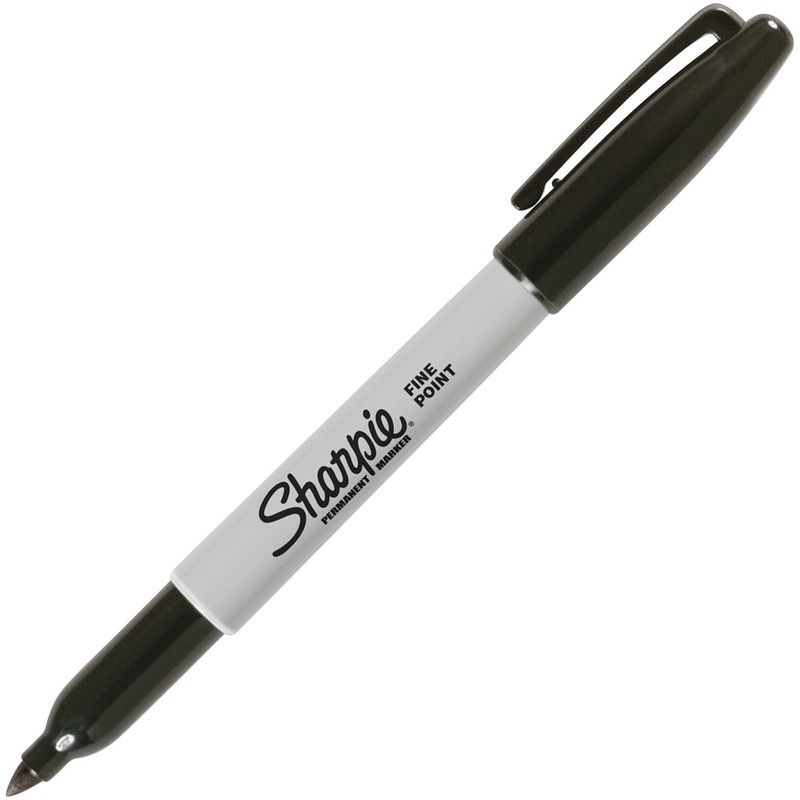 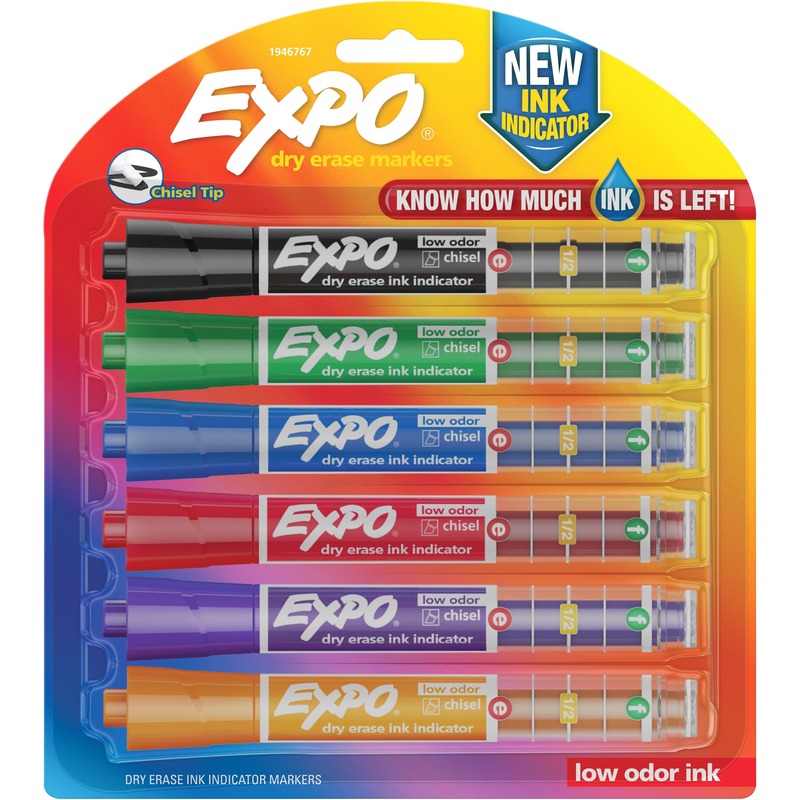 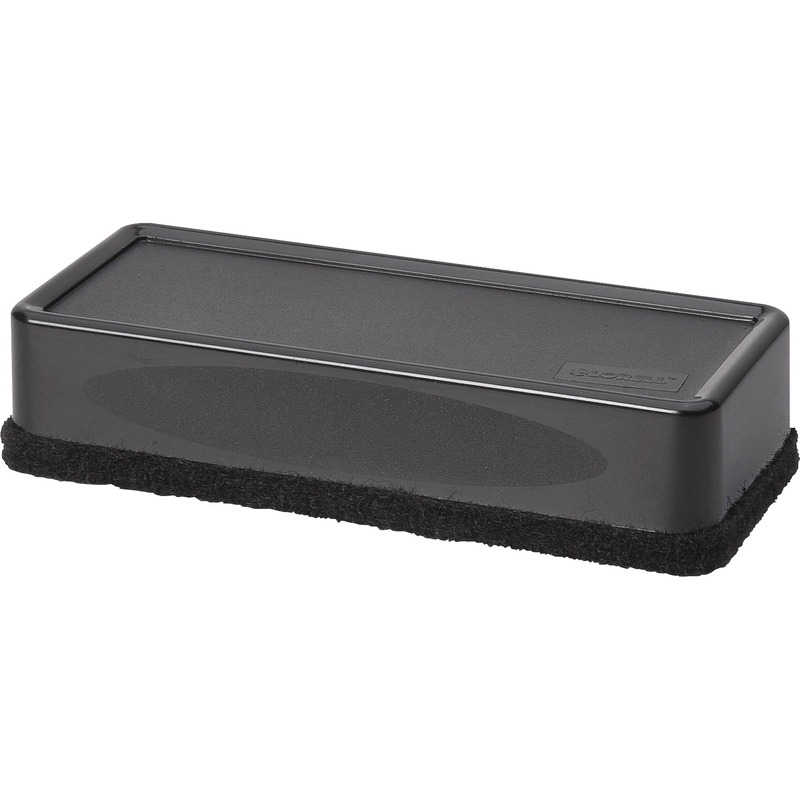 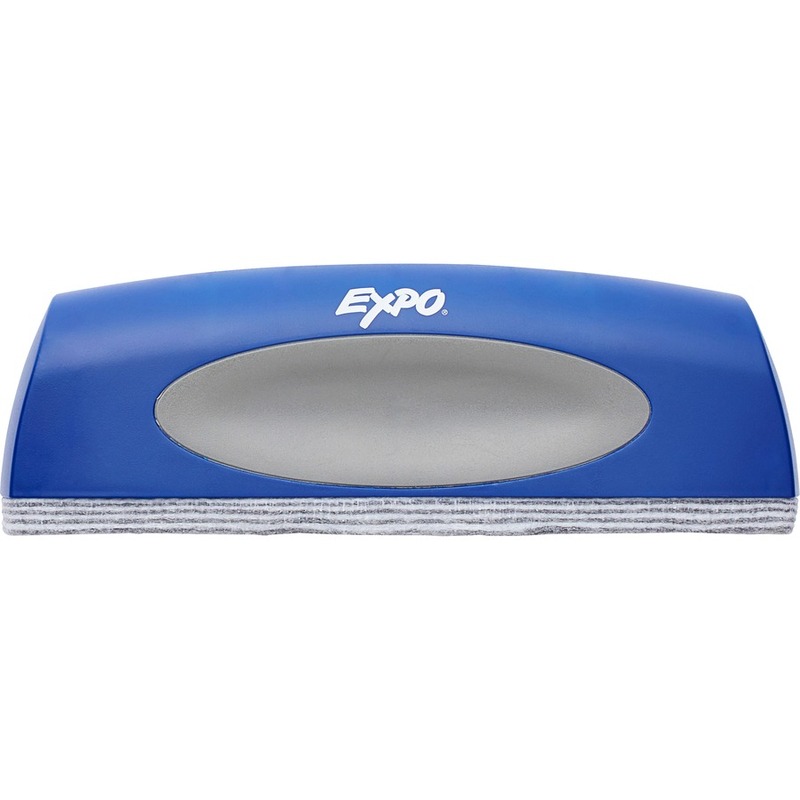 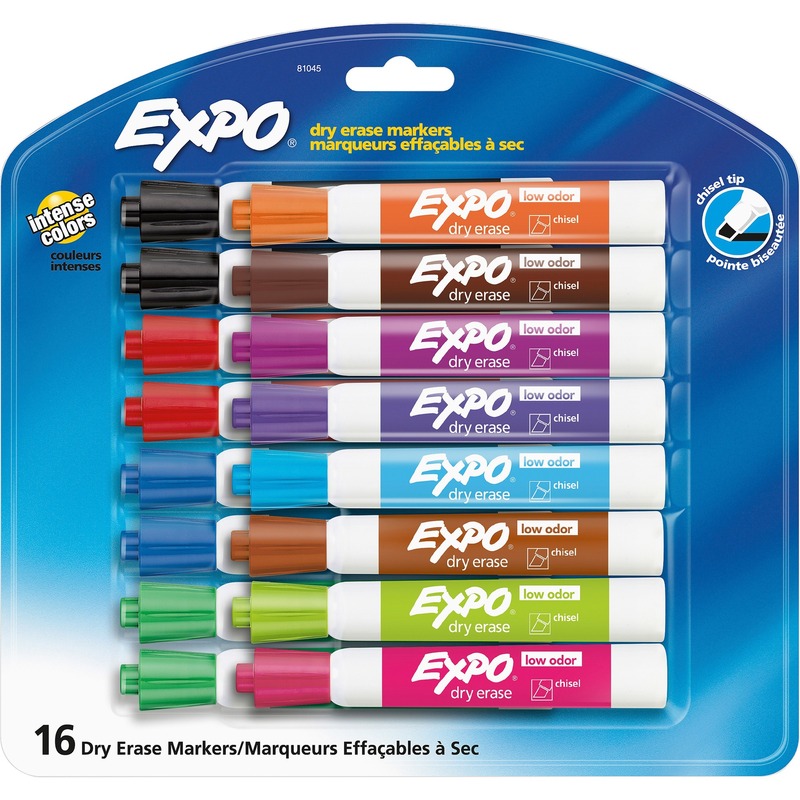 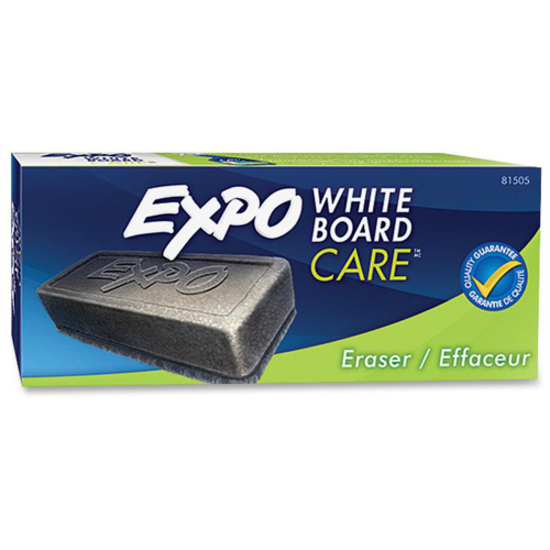 Eraser features a soft pile that removes markings quickly and cleanly from dry-erase surfaces. 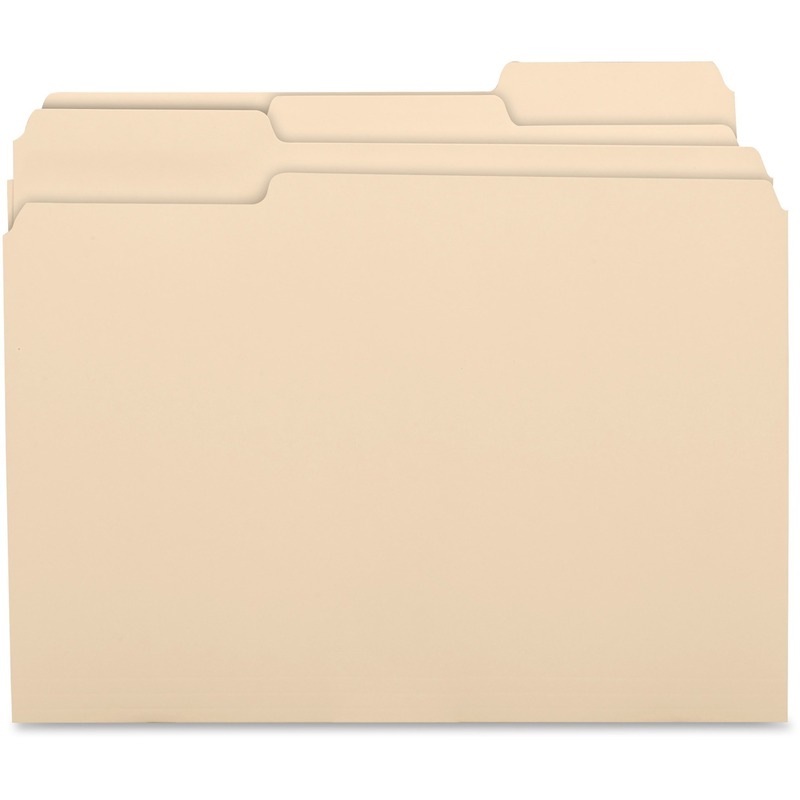 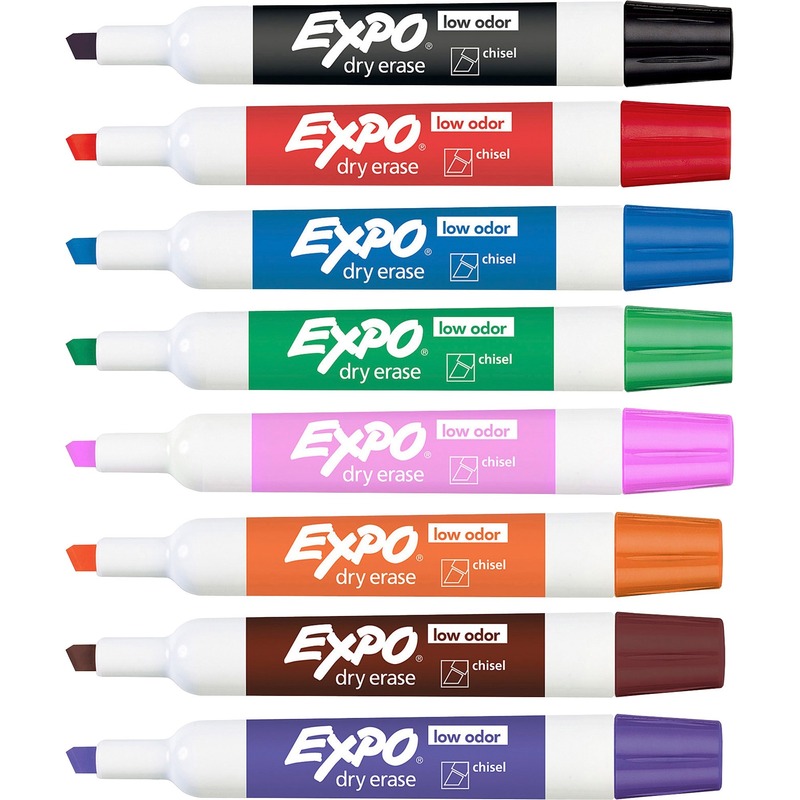 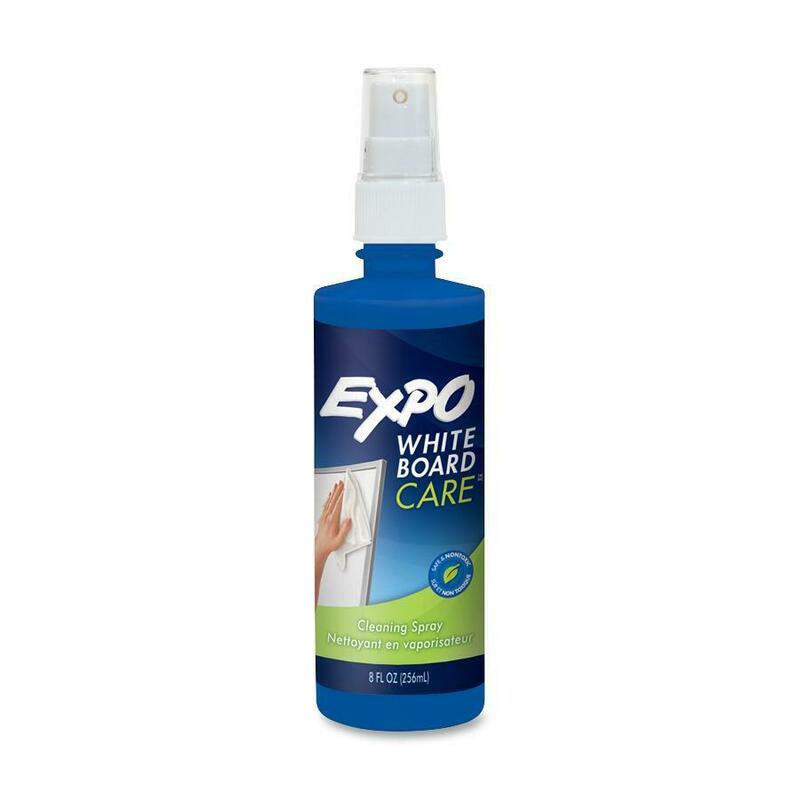 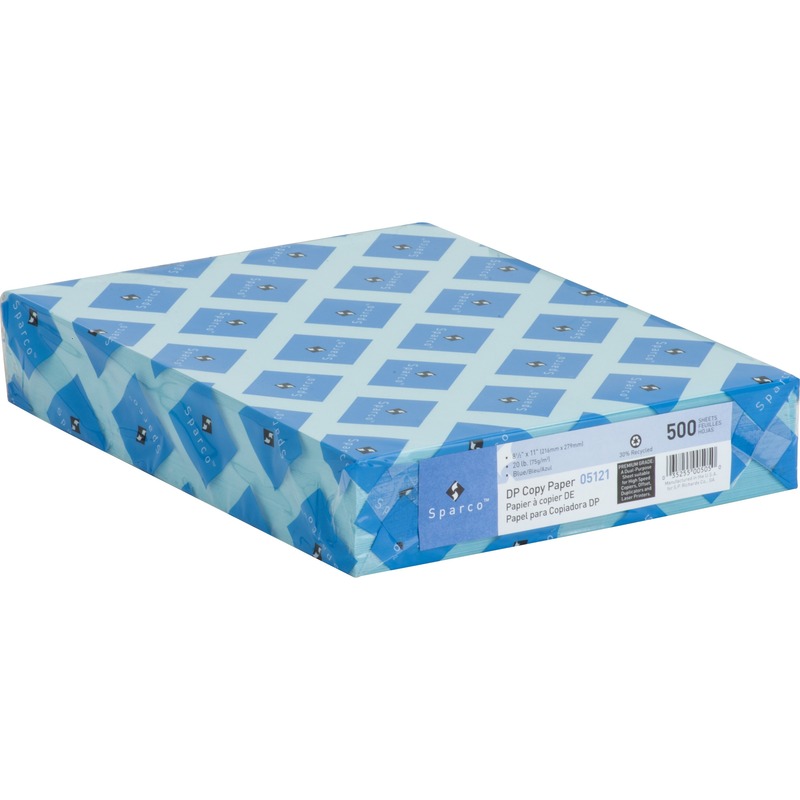 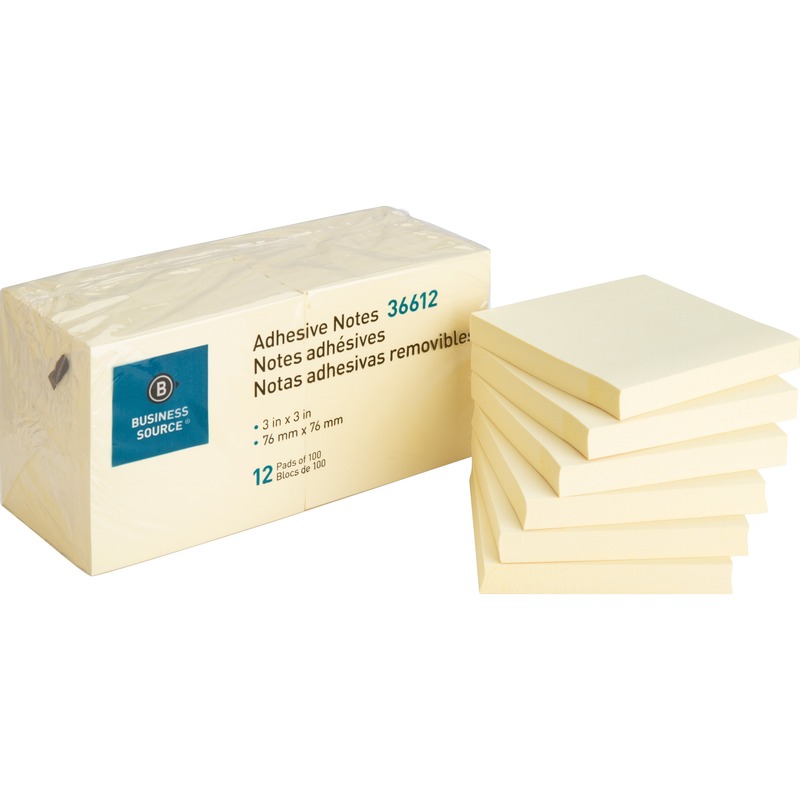 Use on whiteboards, porcelain, melamine and Expo surfaces. 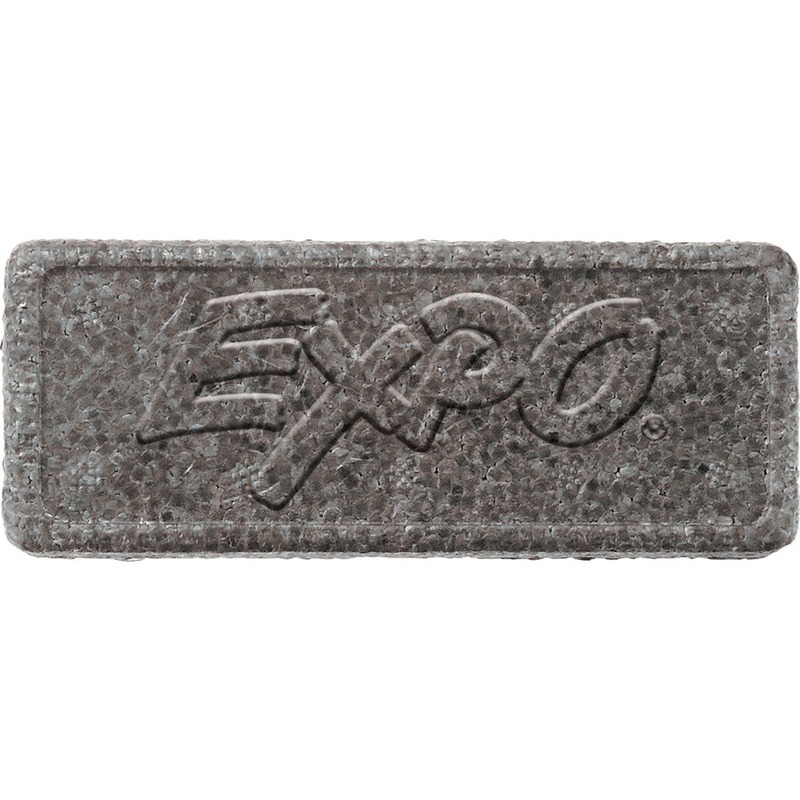 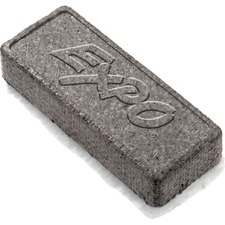 Clean eraser with soap and water.